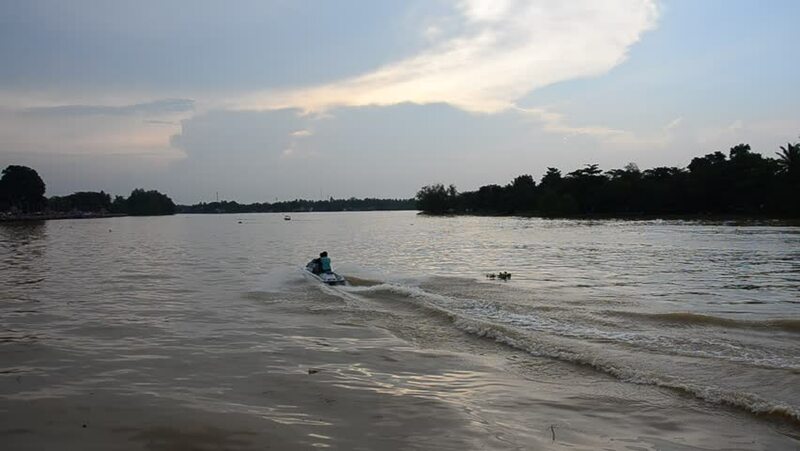 Thai children driving jet ski at Tapee river in Surat Thani, Thailand. hd00:24Ontario cottages near Lake Simcoe with swimming area and large group of Canada geese on water at dusk. 4k00:51a family of four walking towards the shoreline to play in the water. blue sky, clear sunny day. 4k00:15Aerial: surfers catching waves in Santa Cruz at sunrise. 28 May 2017.